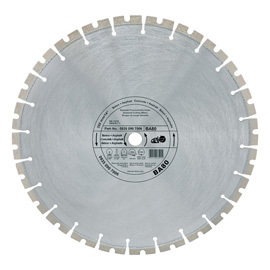 Universal cutting wheel with a long service life. 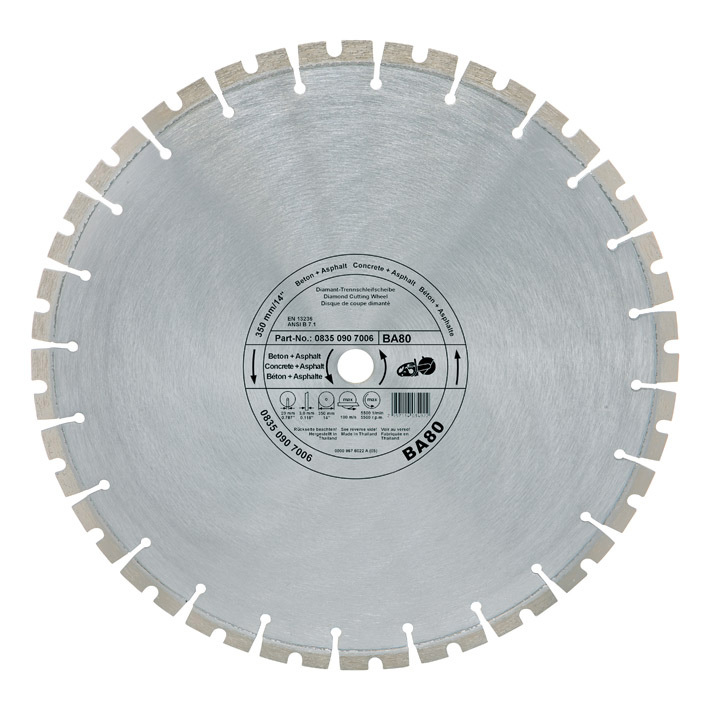 The specially aligned segments make this wheel suitable for cutting soft materials such as asphalt, reinforced concrete and concrete blocks. Concrete / Asphalt (BA80), Ø 350 mm / 14"
Concrete / Asphalt (BA80), Ø 300 mm / 12"
Concrete / Asphalt (BA80) , Ø 400 mm / 16"